My Exaggerated Life. 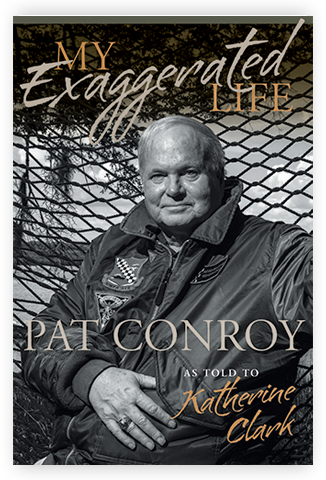 This book is the product of a special collaboration between the great American author Pat Conroy and Katherine Clark, who recorded 200 hours of conversation with Conroy before he passed away. No subject was off limits in these conversations, including aspects of his tumultuous life Conroy had never before revealed. This book presents Pat Conroy the man, as if speaking in person, in the colloquial voice known to family and friends. The story he offers is about surviving and overcoming the childhood abuse and trauma that marked his life. As Conroy recounts his time in Atlanta, Rome, and San Francisco, along with his many years in Beaufort, SC, he portrays a journey full of struggles and suffering that culminated ultimately in redemption and triumph. The Headmaster’s Darlings is a satirical comedy of manners featuring the morbidly obese Norman Laney, an unorthodox, inspirational English teacher and college counselor for an elite private school in Mountain Brook, a privileged community outside of Birmingham. A natural wonder from blue-collar Alabama, Laney has barged into the exclusive world of Mountain Brook on the strength of his sensational figure and its several-hundred-pound commitment to art and culture. His mission is to defeat “the barbarians,” introduce true civilization in place of its thin veneer, and change his southern world for the better. 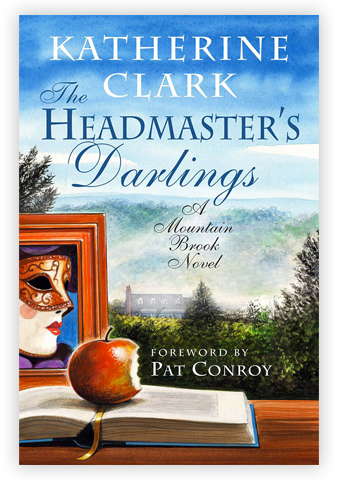 Although Laney is adored by his students (his “darlings”) and by the society ladies (also his “darlings”) who rely on him to be the life of their parties and the leader of their book clubs, there are others who think he is a larger-than-life menace to the comfortable status quo of Mountain Brook society, and must be banished. When Laney is summoned to the principal’s office one day in November 1984, he expects to be congratulated for a recent public relations triumph he engineered on behalf of the school. Instead, his letter of resignation is demanded with no explanation given. Faced with an ultimatum and his imminent dismissal, Laney must outflank the principal at his own underhanded game, find out who said what about him and why, and launch his current crop of Alabama students into the wider world—or at least into Ivy League colleges. In her debut novel, Katherine Clark casts a comical eye on southern society and celebrates the power of great schools and teachers to transform the lives of young people and lift up their communities. Surrounded by a colorful cast of his colleagues, his young protégés and Mountain Brook’s upper echelon, Laney emerges as a heroically idiosyncratic character with Falstaffian appetites, an inimitable wit and intellect, and a boundless generosity toward his students that reshapes their lives in profound, unexpected ways. All the Governor’s Men is a political comedy of manners that re-imagines George Wallace’s last run for governor of Alabama in 1982. It’s the summer before the election, and the state of Alabama is at a crossroads. Voters face a clear choice between the infamous segregationist, now a crippled old man in a wheelchair, and his primary opponent, a progressive young candidate poised to liberate the state from its George Wallace-poisoned past. This historic election isn’t the only thing Daniel Dobbs wants to win. During his senior year, he fell in love with a freshman girl from Mountain Brook, the “Tiny Kingdom” of wealth and privilege, a world apart from his own Alabama origins. A small-town country boy, Daniel desperately wants to win the favor of his girlfriend’s family along with her mentor, the English teacher Norman Laney, who looks like the fat man in The Guinness Book of World Records. He also wants to keep one or two ex-girlfriends firmly out of the picture. In the course of his summer, Daniel must untangle his complicated personal life, satisfy the middle-class dreams of his parents for their Harvard-educated son, decide whether to enter law school or launch his own political career, and incidentally, help his candidate defeat George Wallace. Daniel and his fellow campaign workers, along with their candidate, all believe they are fighting the good fight. But because they are human beings, they are not nearly as good as they should be themselves. On the other hand, they are not nearly as wicked as they need to be to counter George Wallace, who always gets dirty when a race gets close. And this race gets close. 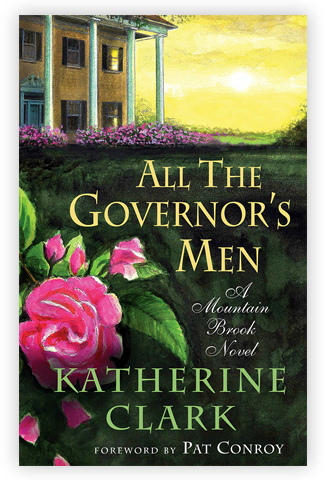 All the Governor’s Men is a darkly comic look at both the political process in general and a significant political chapter in Alabama history. 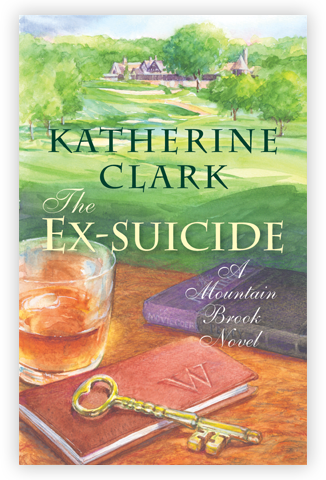 Along with The Headmaster’s Darlings, this second novel in Katherine Clark’s Mountain Brook series depicts the social and political landscape of an Alabama world that is at once a place like none other and a place like all others. 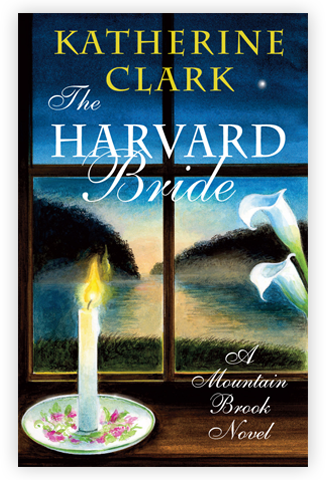 The Harvard Bride is a sequel to All the Governor’s Men, which concludes with the protagonist Daniel Dobbs preparing to marry his college sweetheart, Caroline Elmore of Mountain Brook, Alabama. Picking up right where the previous novel leaves off, The Harvard Bride opens with a big Southern wedding celebrating the marriage of these two Alabamians and Harvard graduates. The new bride and the young marriage struggle to find their bearings and establish their footing in Mountain Brook, which demands of Caroline only that she become one of them instead of becoming herself. While she wants to write a novel, her community expects her first and foremost to write thank-you notes for the hundreds of wedding gifts she received. Finishing all those notes along with starting a first novel is hard enough, but she must also fend off assumptions that she will be looking for a first house, getting pregnant with her first child, and joining the Junior League. Meanwhile, her husband has become so caught up in his career as a first-year associate at a major law firm that on many days she hardly sees him. In the midst of questioning both her marriage and her return to Alabama, Caroline strikes up a friendship with her next-door neighbor, who turns out to be a writer himself. When he also proves to be a kindred spirit, their friendship threatens to become much more. 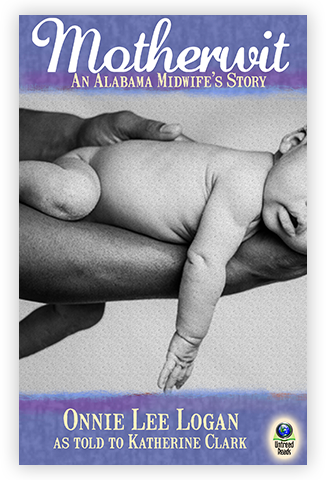 To save herself and her marriage, Caroline accepts a teaching position at her parents’ alma mater, the University of Alabama, and begins commuting to and from Tuscaloosa, the city of her birth. Just when she thinks she has succeeded in putting her personal and professional life together, it all falls inexplicably apart. The Ex-Suicide is a satirical comedy of manners about a prominent Alabama family which resides in the house first built and occupied by the writer Walker Percy’s family. In reality as well as in the novel, this house where Walker Percy’s father committed suicide is located across the street from the Birmingham Country Club in the wealthy, all-white enclave of Mountain Brook. The (fictional) family’s only son, who has several Ivy League degrees as well as a generous trust fund, is striving mainly to be an “ex-suicide,” as defined by Walker Percy in some of his novels and essays. He suffers from both depression and an intelligence quotient above zero. As a result of his intellectual aspirations and philosophical principles, and thanks to his trust fund, he has succeeded only in figuring out what he does not want to do with his life. Unfortunately, this comprises just about all known occupations, but most especially “the family business” which his imperious, society matron mother insists he take over from his aging father. When the novel opens, the 37 year-old son has recently returned to his hometown and has taken a teaching position at a historically black college in the “other” Birmingham from the one where he grew up. But his mother is not to be denied or defied. She insists that he stop this teaching “nonsense” and begin to assume his responsibilities as the family heir. 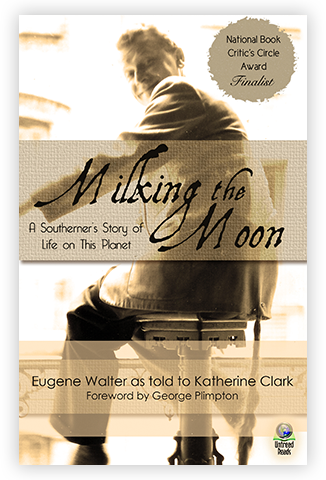 Milking the Moon, which became a finalist for a National Book Critics Circle award, is the oral biography of the best-known man you’ve never heard of: the Capote-esque bon vivant Eugene Walter. His narrative takes us from the porch life of his native Mobile, Alabama in the ‘20s and ‘30s; to the Aleutian Islands during World War II; then Greenwich Village in the ‘40s; Paris in the ‘50s, where he was part of the Paris Review and the expatriate café society; onto Rome in the ‘60s, where he participated in the golden age of Italian cinema; and finally back to a much-changed Mobile. Gore Vidal called Eugene Walter “the other Capote, the good one,” and observed that whereas “Truman lied to hurt others, Eugene lied only to entertain.” The life Eugene recounts in Milking the Moon is certainly entertaining, full of dazzling anecdotes about the many famous people he encountered, from George Plimpton and Federico Fellini to Leontyne Price and Judy Garland. Most entertaining of all is the unique and hilarious voice of Eugene Walter as he relates the incredible adventures he enjoyed in his completely un-planned life. Yet for all its amusement value, Milking the Moon expresses a powerful and important theme about learning how to live in the moment and enjoying life to the fullest, as Eugene Walter knew how to do better than anybody else you’re likely to know. Originally Published by Crown 2001. Republished: October 2014, by Untreed Reads. Available wherever ebooks, hardbacks, and paperbacks are sold. Originally Published by E.P. Dutton 1989. Republished: November 2013, by Untreed Reads. Available wherever ebooks, hardbacks, and paperbacks are sold.